Posted January 22, 2019 by Sydney Criminal Lawyers & filed under Drug Law, NSW Courts. On 12 May 2014, Huang Enhua negotiated a deal to supply 15 kilograms of ephedrine for a price of $80,000 a kilogram. Unbeknownst to Mr Huang, he’d arranged to supply the $1.2 million worth of the methamphetamine precursor to an undercover police officer. The two men met in a carpark in Auburn on 20 May. After seeing the cash, Mr Huang called He Haihui and arranged for him to bring the drugs. Mr He turned up soon afterwards with a bag containing 5 kilograms of ephedrine. And he was accompanied by Chen Rong. Mr Chen then made his way over to a car parked nearby with Lin Zhiqiang – the owner of the vehicle – seated inside. Chen then removed a backpack from the boot that contained a further 10 kilograms of the illicit substance and carried it back over to the undercover officer. Once the drugs were exchanged, police swooped in and arrested Huang, He and Chen. Surveillance police followed Mr Lin as he drove away and subsequently arrested him. Officers seized his phone, which had a number of messages in Mandarin that related to the drug transaction. Mr Lin agreed to a police interview. He said that he agreed to lend Mr He his car knowing that it would be used in a transaction involving a substance “they need… to make drugs”. He said he was paid $2,000 for his part in the enterprise. Mr Lin entered an early guilty plea in regard to one count of knowingly taking part in the supply of a large commercial quantity of a prohibited drug, contrary to section 25(2) of the Drug Misuse and Trafficking Act 1985. The maximum penalty for this offence is life imprisonment. And a standard non-parole period (SNPP) of 15 years applies. An SNPP is a reference point for the sentencing judge when determining the minimum time a person must spend behind bars before being eligible to apply for release on parole. The court heard that Mr Lin had no criminal record. And at the time of the offence, he’d overstayed his student visa and was an illegal noncitizen. Lin said that prior to the incident, he’d started using ice. And his co-offenders suggested that he be involved as a way of paying off his drug debts. On 17 June 2016, NSW District Court Judge Paul Lakatos sentenced Lin to 8 years imprisonment, with a non-parole period of 5 years and 6 months. This sentence reflected a 25 percent discount for the utilitarian value of his early plea of guilt.  Mr Lin appealed his sentence in the NSW Court of Criminal Appeal (NSWCCA) on 27 November 2017. He did so on five grounds. The initial ground – which was not upheld – was that the sentencing judge failed to properly address the objective seriousness of the offence. The offender’s legal team put forth that since the offence carries an SNPP, the sentencing judge is required to evaluate the objective seriousness of the crime. However, NSWCCA Justice Peter Hamill explained that Judge Lakatos was under no requirement to assess objective criminality. And further, Justice Hamill said that although the sentencing judge made no reference to the offender’s crime being below the mid-range, he had clearly stated his assessment of Lin’s criminality when he referenced his “limited involvement” and that he was not “high up” in the criminal enterprise. The second ground of appeal was that the sentencing judge had made an error when he found that the offence had been aggravated as it was part of a planned or organised criminal activity in accordance with section 21A(2)(n) of the Crimes (Sentencing Procedure) Act 1999. Section 21A(2) of the Sentencing Procedure Act provides a list of aggravating factors, which are aspects of a crime that increase the culpability of an offender. But, Justice Hamill said that while Judge Lakatos referred to the planning, he in no way stated that this aggravated the criminality. As this ground was not made out, his Honour then turned to the third ground, which was that the sentencing judge had made an error when he considered that the offence was carried out for financial gain as an aggravating factor, under section 21A(2)(o) of the Sentencing Procedure Act. Justice Hamill upheld this ground of appeal. 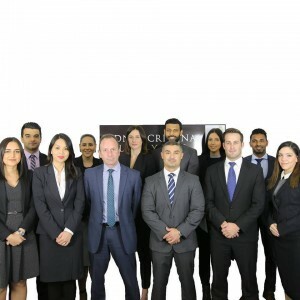 He explained that a number of previous NSWCCA cases have ruled that financial gain is inherent in the case of a supply offence, and it can only be found to be aggravating when it significantly exceeds a normal amount of gain related to the crime. His Honour outlined that in this case the only evidence pointed to Lin being promised $2,000 for his involvement in a drug supply transaction, which was worth $1.2 million. So, it was difficult to accept this constituted significant financial gain. And it was an instance of “double counting” in sentencing. The fourth ground did not have to be assessed as it related to the sentencing judge failing to explain how either aggravating factors impacted the sentencing practice. And Justice Hamill had already dealt with this in his consideration of the second and third grounds. NSWCCA Justice John Basten found that none of the first four grounds should be made out. But, on the fifth ground of appeal, over the question of parity in sentencing, his Honour ruled that it should be upheld. The principle of parity requires that like cases be treated alike, and different cases should be treated differently. This principle should avoid disparity in sentencing in relation to co-offenders involved in the same criminal activity regardless of the charges laid against them. Justice Basten explained that Judge Lakatos had sentenced all four offenders. And when he did so, the sentencing judge gave “careful correlation between the respective sentences, designed to reflect their relative levels of culpability and, to an extent, a limited degree of disparity”. However, Mr Huang – who was initially sentenced to the longest stint in gaol – had recently appealed his sentence and was given a shorter one than the original sentence given to Mr Lin. So, Justice Basten found that due to this arising disparity in sentencing the fifth ground was made out. On 14 February last year, Justice Basten ordered that the appeal be allowed. And that Mr Lin be resentenced to 6 years inside, with a non-parole period of 4 years and 1 month. This reduced Lin’s sentence proportionately with the reduction to Mr Huang’s sentence. Justice Hamill agreed with the orders given by Justice Basten, in light of the outcome of Mr Huang’s case. Although, he initially concluded that a sentence of 6 years and 6 months, with a non-parole period 4 years and 6 months, was an appropriate sentence. And Justice Geoffrey Bellew agreed with Justice Hamill in that ground three regarding the judge making an error in terms of considering financial gain an aggravating factor should be made out, while he also agreed with the orders set out by Justice Basten.